PABCO® GYPSUM SHEATHING Board is an economical moisture-resistant product and is designed for use as an exterior board providing a stable base for veneer finishing systems on residential and commercial buildings. 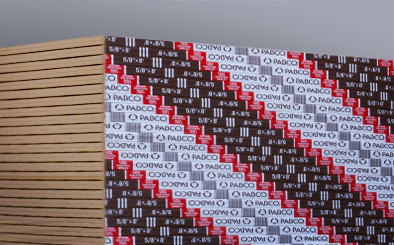 PABCO® GYPSUM SHEATHING board has a water resistant core and water repellent paper. The 1/2” version is used as a single layer application in non-fire rated residential projects.